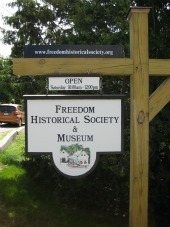 On Wednesday, October 21, Freedom Historical Society (FHS) will hold their annual dinner meeting at 5:30 PM. This is a free potluck dinner for FHS members and the public. We will be serving New England baked beans and ham and ask that you bring a dish to share that compliments this menu and preferably is a New England recipe (but any dish is welcomed). 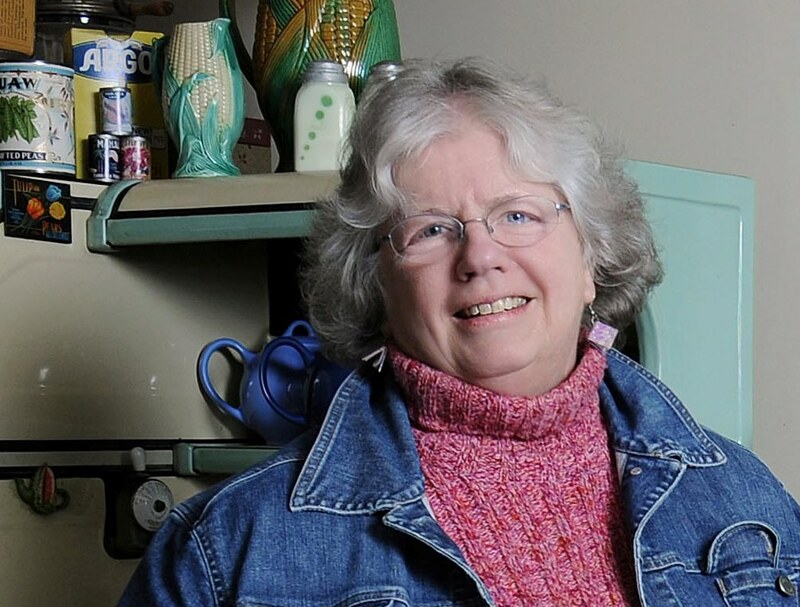 Following dinner, at 7:00 pm, everyone is welcome to join us for a fun follow-up program, “Baked Beans and Fried Clams: How Food Defines a Region”, which will be presented by writer, editor, journalist, essayist and lecturer, Edie Clark. Baked beans, fried clams, fish chowder, Indian pudding – so many foods are distinctive to New England. This talk brings a celebration of these regional favorites along with the perspective of how contemporary life has distanced us from these classics. What makes them special and how do these foods define our region? The presentation also focuses on such diverse personalities as Fannie Farmer, Julia Child, and Haydn S. Pearson for enlightenment and amusement. Additionally, it is based on Ms. Clark’s own experiences writing and traveling for “Yankee” magazine over the past thirty years to places where baked beans are still featured prominently on the menu. E die Clark has written extensively about New England in award-winning feature stories for more than thirty years. She has been a Fellow at The MacDowell Colony, Hedgebrook Writers’s Colony, and a Visiting Writer at Northern Michigan University. She teaches writing and journalism at the graduate and undergraduate level and is a frequent lecturer on many topics. She lives and works at her home in Harrisville, New Hampshire. She is the author of seven books. For further information, go to http://www.edieclark.com. Everyone please come and join us for the annual membership potluck dinner meeting on Wednesday October 21 at 5:30PM at Freedom Town Hall. And/or join us at 7:00 PM for the program presentation by Edie Clark. There is no charge for the dinner or program, but donations are always welcomed. For additional information please call 603-539-5799. The Freedom Historical Society is pleased to host Richard A. Hesse, a professor emeritus at Franklin Pierce Law Center, who will discuss “Our Founding Fathers: What Were They Thinking” for its September 16 program. The presentation is co-sponsored by the Friends of the Library in Freedom and by a grant received from the New Hampshire Humanities Council. In 1787 delegates gathered in Philadelphia to address a wide variety of crises facing the young United States of America and produced a charter for a new government. In modern times, competing political and legal claims are frequently based on what those delegates intended. Mythology about the founders and their work at the 1787 Convention has obscured both fact and legitimate analysis of the events leading to the agreement called the Constitution. Richard Hesse explores the cast of characters called “founders,” the problems they faced, and the solutions they fashioned. Learn about the difficult decisions faced by our Founding Fathers and the grave consequences possible if the idea of independence were to fail. Richard A. Hesse is an active participant in the civil rights movement nationally and in the state of New Hampshire. He served as a member of the New Hampshire Human Rights Commission, and was twice awarded the Bill of Rights Award by the New Hampshire Civil Liberties Union. He was formerly a member of the Board of Directors of the New Hampshire Civil Liberties Union, as well as its Legal Counsel. He taught Constitutional Law, International Human Rights, Professional Responsibility, and a Seminar on the U.S. Supreme Court. Professor Hesse remains active in the Civil Liberties Union, and is working on a project to improve conditions in the New Hampshire prisons and houses of correction. He is a frequent speaker on Civil Liberties and National Security, Freedom of Speech, Religion and the Law, and the U.S. Supreme Court. The public is welcome to join FHS members on Wednesday, September 16 at 7pm at Freedom Town Hall on Elm Street for this insightful presentation. The program is free, and refreshments will be served following the program. For additional information, please call 603-301-1073. Have you ever wondered what lies beneath the surface of New Hampshire’s largest lake…..things like shipwrecks, treasures and archeological wonders? Freedom Historical Society is pleased to announce that diver and history buff, Hans Hug, Jr., of Exeter, NH, will present “Shipwrecks of Lake Winnipesaukee” on August 19th in Freedom. Hans Hug has SCUBA dived all over Lake Winnipesaukee in search of artifacts, shipwrecks and more. He will speak about his diving adventures in Lake Winnipesaukee and the deep aquatic finds he has discovered lying at the bottom of the lake. Hans Hug has been SCUBA diving throughout New England for 26 years at sites ranging from the Connecticut River to the Atlantic Ocean. He enjoys lobster and scallop diving, searching for shipwrecks and historical artifacts including bottles, guns, ceramics and more. The program he presents will include not only a history of the big lake, but also photographs, sonar images and video of exciting finds on the bottom of the lake. He will also bring some of the artifacts he’s found and picked up from the depths of the lake. Using old maps, photographs, historical research and high tech side scan sonar, Hug has made many fascinating discoveries, including more than 60 shipwrecks in the Big Lake, never before seen. An engrossing, popular speaker, Mr. Hug’s presentation is a dynamic educational event not to be missed. The public is invited to join members of the Freedom Historical Society for “Shipwrecks of Lake Winnipesaukee” on August 19 at 7PM at Freedom Town Hall on Elm Street. The program is free of charge, and refreshments will be served following the presentation. For additional information, please call 603-301-1073. Rubbings, photographs, and slides not only illustrate the rich variety of gravestones to be found in our own neighborhoods, but they also tell long-forgotten stories of such historical events as the Great Awakening, the Throat Distemper epidemic, and the American Revolution. Find out more about these deeply personal works of art and the craftsmen who carved them with Glenn Knoblock, and learn how to read the stone “pages” that give insight into the vast genealogical book of New Hampshire. Glenn Knoblock has a BA in History from Bowling Green State University in Ohio. 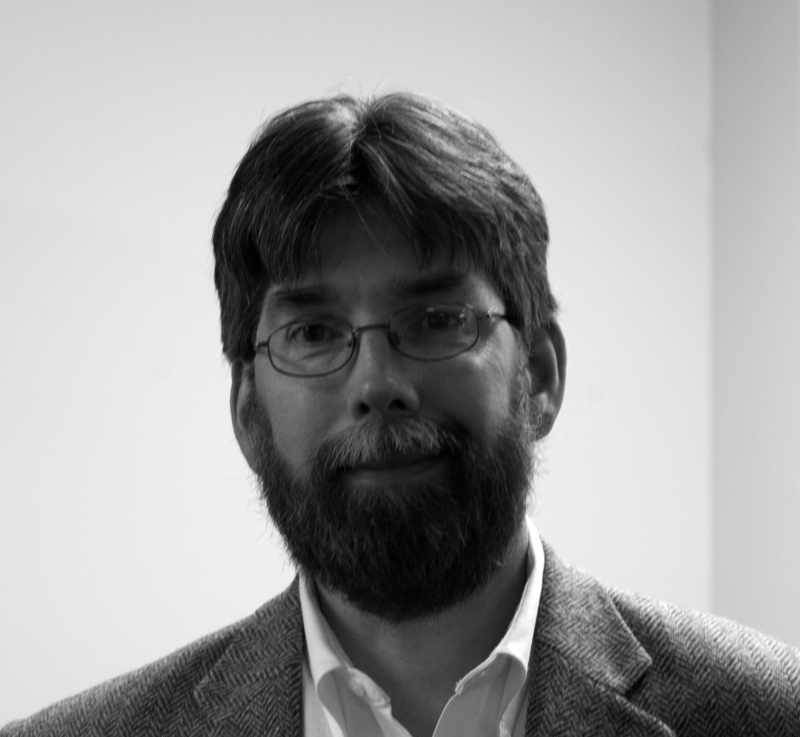 Since his move to NH nearly 30 years ago, he has specialized in researching and writing about a variety of aspects of Granite State history. Among the thirteen books Knoblock has written are New Hampshire Covered Bridges, Brewing in New Hampshire (with James Gunter), and Historic Burial Grounds of the New Hampshire Seacoast. He has a forthcoming book on the history of American clipper ships. Knoblock is also an expert in African American military history and not only offers several lectures in this area, but has worked extensively as the primary military contributor to Harvard and Oxford University Press’s African American National Biography Project. The public is welcome to join FHS members on Wednesday, July 15 at 7pm at Freedom Town Hall on Elm Street to hear this insightful lecture. The presentation is free, and refreshments will be served following the program. For additional information, please call 618-830-5479. The Freedom Historical Society has received a grant from the New Hampshire Humanities Council and The Friends of the Library for their June 17 program, and are pleased to host Dr. Douglas Wheeler, Professor Emeritus of History at the University of New Hampshire. He will present “George Washington Spied Here: Spies and Spying in the American Revolutionary War (1775-1783). Based on recently discovered historical materials and recent books, Dr. Wheeler’s program is an inquiry into the life and death of America’s first spy, the patriot-martyr, Nathan Hale, of Coventry, Connecticut. Wheeler also takes audiences on a journey through the spy world of the Culper Spy Ring of New York, Long Island and Connecticut, the most secret of the American spy rings and the most successful in getting useful intelligence to General George Washington beginning in 1778. The Father of our country was also our first Intelligence Chief. The program is illustrated with images of the main places and the main participants of this unusual network of patriot secret agents and couriers. 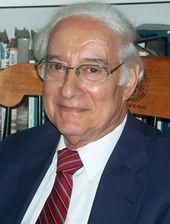 Dr. Wheeler’s academic records include a BA degree in history from Dartmouth College (1959), MA degree in history with High Distinction from Boston University (1960), and a Ph.D.(1963) in history, also from Boston University. He taught history courses at UNH (1965-2002). He also taught at Boston University, the University College in Rhodesia (Zimbabwe) and, Morgan State College, Baltimore MD. Dr. Wheeler is the author, co-author or co-editor of 8 books and more than 200 articles on Portuguese history, foreign affairs and the history of espionage. He is also a playwright. Please join us Wednesday, June 17 at 7pm at Freedom Town Hall on Elm Street to hear this insightful lecture. Light refreshments will be served following the program. The presentation is free and open to the public. For additional information please call 618-830-5479. Freedom Historical Society’s May 6 program, “Freedom Houses: Then and Now” will be presented by Society Board members John Shipman and Nadine Chapman. It will highlight the research and enormous efforts underway to update the book of Freedom houses created in 1976 known as the “Chase Book.” Come see old photos of Freedom houses, their ownership history, and hear some interesting anecdotes about Village houses. Residents will learn how they can help the research by sharing stories, documents, and photos they may have. 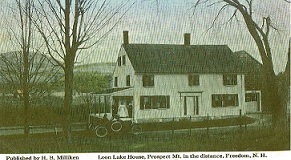 The “Chase Book” maps the location and ownership history of houses along Freedom’s main roads – Elm, Old Portland, Cushing Corner, Village, Moulton, and Young’s Hill. A variety of complex resources and local records have been accessed to create an updated digital inventory record for each house including GPS coordinates, ownership history, photos and more. This update supports the ongoing, in-depth research of the Freedom Heritage Commission. Please join us Wednesday, May 6 at 7PM at Freedom Town Hall on Elm Street to experience this fascinating presentation. Refreshments will be served following the program. The presentation is open to the public. For additional information please call 603-301-1073. The 2015 Schedule is Here! The Freedom Historical Society proudly announces our 2015 schedule of education programs. Click here, or on the Programs tab above, to see what we have in store! Click on this poster for more information.